Splatoon 2’s main focus, just like its predecessor, will be the online multiplayer modes, but even those who wish to enjoy the game by themselves will be able to do so thanks to the single player mode, which has been detailed during yesterday’s Nintendo Direct. After the presentation, Nintendo shared a brand new trailer which focuses on the Splatoon 2 single player mode. 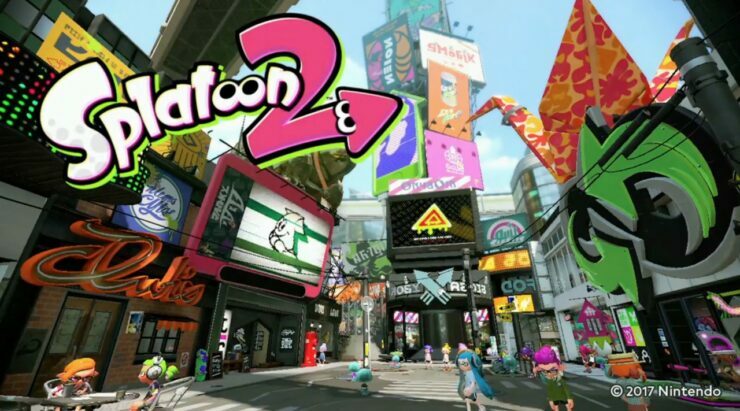 In this mode, players will have to search for Callie and the Great Zapfish, use different weapons, defeat enemies and take down bosses. The single player mode will also be a good way to get ready for the multiplayer modes, as it will teach players how to use correctly a variety of weapons. A few months back, our Dave spent some time with Splatoon 2, noting how the game corrects many of the missteps of the original. In the end, Splatoon may have been the trial run for Splatoon 2. So many missteps the original took have been rectified, and what we have is finally the kind of game that casual fans can happily hop in and out of with their friends, as well as a game that we could see a real grassroots competitive scene form around – it all depends on Nintendo, their online infrastructure, and their matchmaking options. It’s a big ask from a company with a less-than-stellar reputation for online services, but on the off-chance that Nintendo gets everything right, Splatoon 2 could be the next big thing. Splatoon 2 launches on July 21st exclusively on Nintendo Switch.